Spring, sun and bluebells! Always a joy to experience. 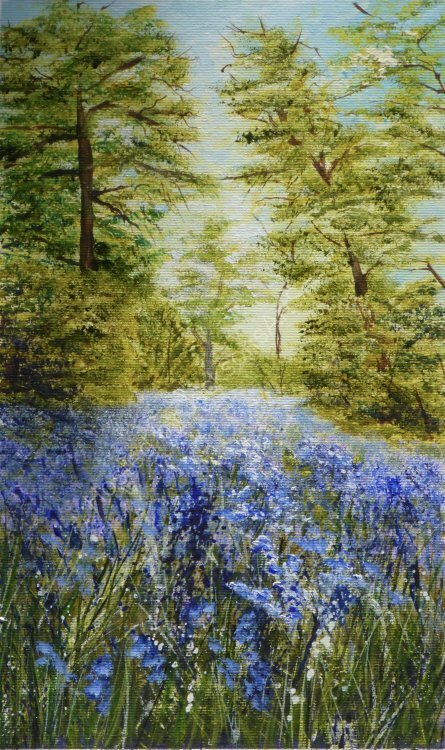 Inspired by The beautiful bluebells to be enjoyed in Cornwall in May. An original painting in acrylic on canvas, mounted and framed. Image size 8” x 12”.